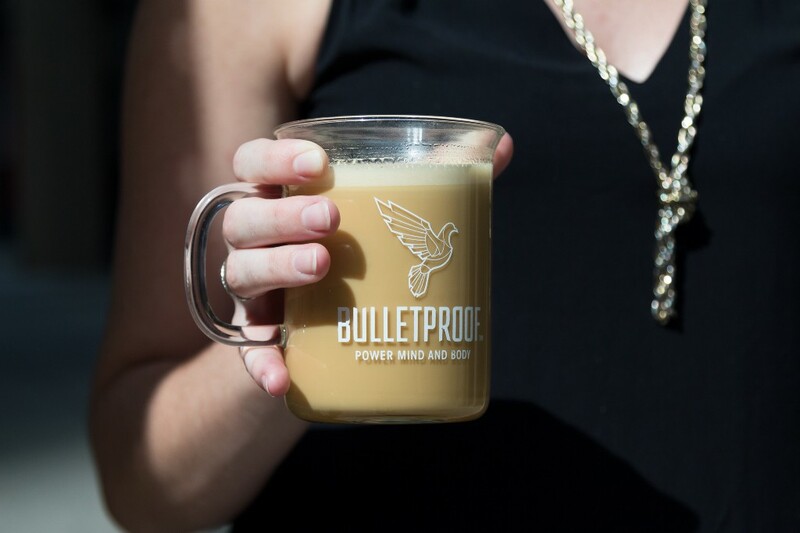 Home > Mind > What’s The Deal With Bulletproof Coffee? The recipe for long-lasting energy includes caffeine and…butter?! If I told you to put butter in your coffee, would you look at me like I told you to eat a dead cockroach? I wouldn’t blame you, because that’s exactly what I did when my aunt first introduced me to Bulletproof Coffee. She told me it was not only delicious—it would also eliminate the afternoon crash that comes with a standard morning cup of coffee. I didn’t take her too seriously until I started hearing more and more of my friends talking about this “super-coffee” drink. Now I was intrigued. So I met up with Nick Boskovich, the owner of Chicago’s HI-VIBE Superfood Juicery, to learn more about the superfuel my aunt can’t get enough of. 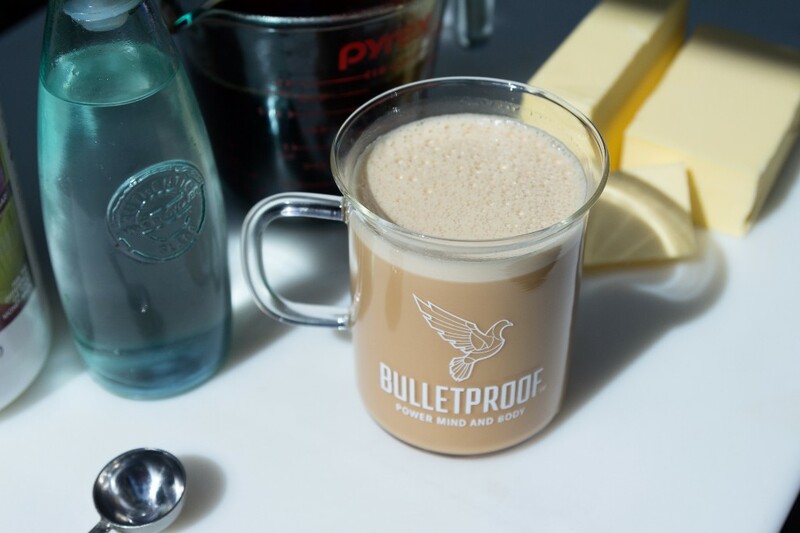 Boskovich said he became a Bulletproof convert when he started to move toward a Paleo diet, and decided to eat and drink in a certain way “because of the way I feel and perform when fueling my body with higher-frequency sustenance.” It was a similar story for Bulletproof Coffee CEO, Dave Asprey, who was inspired to create the recipe after returning from a trip to the Tibetan mountains, where he learned about and fell in love with the traditional yak butter natives drink. Buckle up, caffeine addicts: Here’s everything you need to know about this enhanced morning beverage. How is Bulletproof Coffee different than just throwing a pat of butter into your morning coffee? 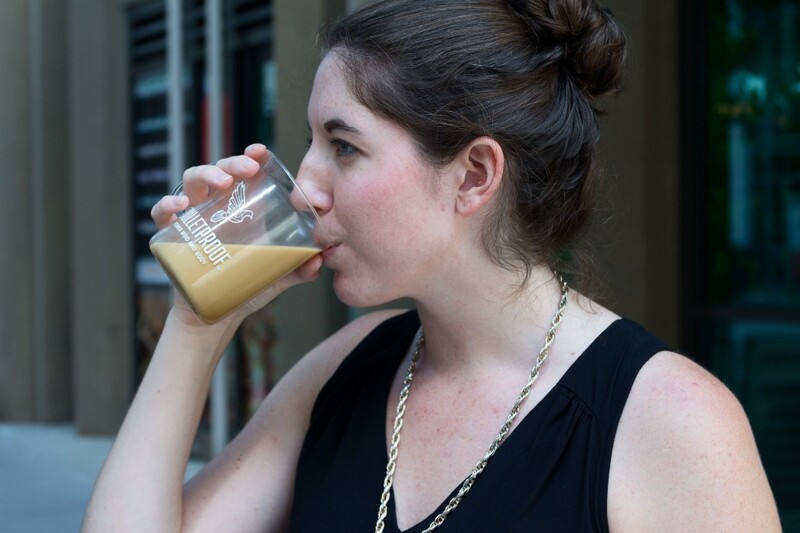 First off, the drink is made with coffee, Brain Octane MCT (medium chain triglycerides) oil and grass-fed butter. The ingredients themselves are very important, but we’ll get to that later. Another critical point is that, rather than just letting butter melt in hot coffee, Bulletproof Coffee is made by blending the ingredients together to make a super-frothy, fully-combined drink (no top-floating oil or weird chunks involved). While the unusual combination of ingredients that make up Bulletproof Coffee create awesome results, Boskovich says the most important ingredient is arguably the beans themselves. The way Bulletproof beans are harvested and processed virtually eliminates any potential mold or mycotoxins that slow us down and are responsible for the post-coffee crash we all trudge through at 2 p.m.
How do I make it myself? So once you’ve brewed 2 cups of mycotoxin-free coffee, you add 2 tablespoons of grass-fed butter. The butter provides fat-soluble vitamins and other useful nutrients. Finally, you top it off with 2 tablespoons of Brain Octane Oil, which provides coconuts’ most brain-boosting fats. This helps keep you laser focused and productive in the morning. Then, just blend it all together for a little less than a minute so it’s nice and frothy. If you’re in Chicago, you can get everything you need at HI-VIBE; otherwise, check your local Whole Foods, or there’s always Bulletproof.com. Boskovich also noted that like the Paleo and Ketogenic diet movements, Bulletproof Coffee is only growing in popularity, and many coffee shops are starting to offer it on their menus. It’s perfect for those looking to sharpen their physical and mental edge who are willing to pay for the high-quality ingredients Bulletproof Coffee demands. As a girl who has to add a little something to her coffee most mornings, I was concerned about Bulletproof’s taste. I was worried it’d taste too strong or weirdly oily—but it was actually delicious. No, it wasn’t as flavorful as a PSL, but you can find plenty of recipes on the internet for adding flavor with vanilla, cacao or cinnamon. But the standard Bulletproof coffee was creamy, had a strong coffee flavor and I found myself mindlessly sipping and enjoying it Boskovich and I chatted. The short answer is yes, I think it did. 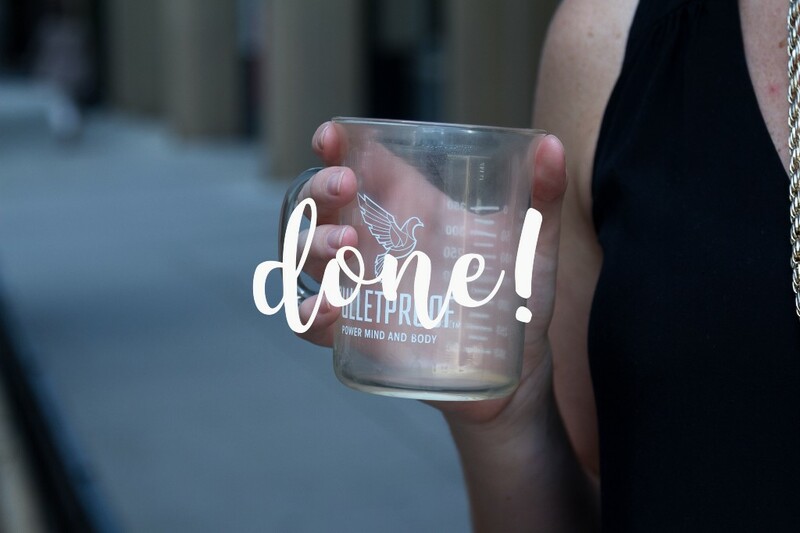 I drank it at about 11:30am and can honestly say that even after my HIIT class at the gym that evening, I was still feeling energized and clear-minded. I still crashed into bed when I got home, but that could easily be a product of my long day and workout and not a caffeine crash. Bottom line: I’d take a smooth cup of Bulletproof Coffee any day.